Puerto de la Ragua Cross Country & Biathalon Facilities, Universiade 2015, Granada, Spain | Puerto de la Ragua Cross Country & Biathalon Facilities, Universiade 2015, Granada, Spain | Ecosign Mountain Resort Planners Ltd.
Ecosign was retained by CETURSA, owner and operator the Sierra Nevada Ski Resort in Granada, to prepare two master plan concepts for the 2015 Universiade cross-country and biathlon venue. 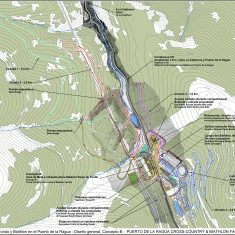 The venue site, Puerto de la Ragua, is located within Sierra Nevada National Park and will be the only Nordic competition facility in Southern Spain. 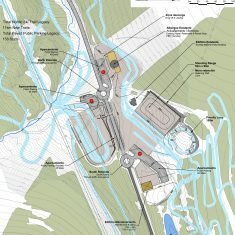 Ecosign prepared two overall facility master plan alternatives for the site including the cross country stadium, biathlon shooting range and stadium, spectator’s zones, parking, vehicular circulation, snowmaking ponds, site grading and post-games public facility plan. 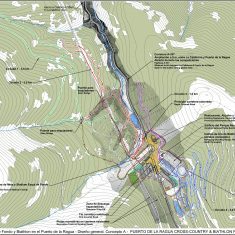 During the master planning process, Ecosign collaborated with environmental consultants and cross-country and biathlon trail experts to develop a world-class competition venue with the most efficient footprint and minimal impact on the landscape and surrounding sensitive ecosystems.